Grace Gershuny moved from Montreal to nearby Vermont and has become internationally known in the alternative agriculture movement as an organizer, educator, author, consultant, and small scale market gardener. 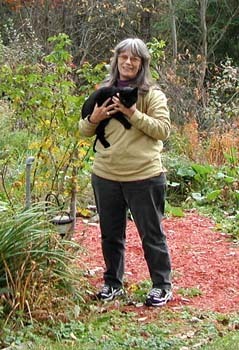 She has been on the Social Ecology faculty of Goddard College since 1991. Besides her cat, she is very proud of her daughter Opal.